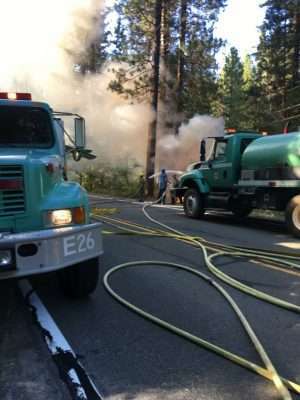 The Forest Service responds to the report of a vehicle fire just west of Quincy. 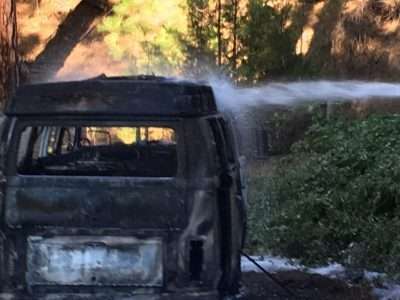 The fire was contained to the vehicle. Update: The Forest Service is reporting that a fire has not been confirmed by Tobin, but smoke has been reported. The vehicle fire has been extinguished and the fire did not spread to the surrounding area. If it seems as if there is suddenly more smoke in the area, it’s because there are new fires to report. The Forest Service has ordered aircraft to respond to a fire in the Tobin/Jackass Creek area in the Feather River Canyon. More details as they become available. At the same time local firefighters responded to a vehicle fire reported just west of Quincy. No, it’s because the wind changed direction on the Ranch Fire and it’s smoke is blowing our way again. The Tobin fire doesn’t even show up yet. The first paragraph is confusing. Get the exact same info from the last 2 paragraphs without the confusion of which fire is being discussed.